Combes Park was born in the years 80. 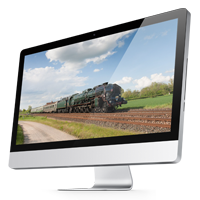 A team of enthusiasts decided to rehabilitate a railroad for industrial use. 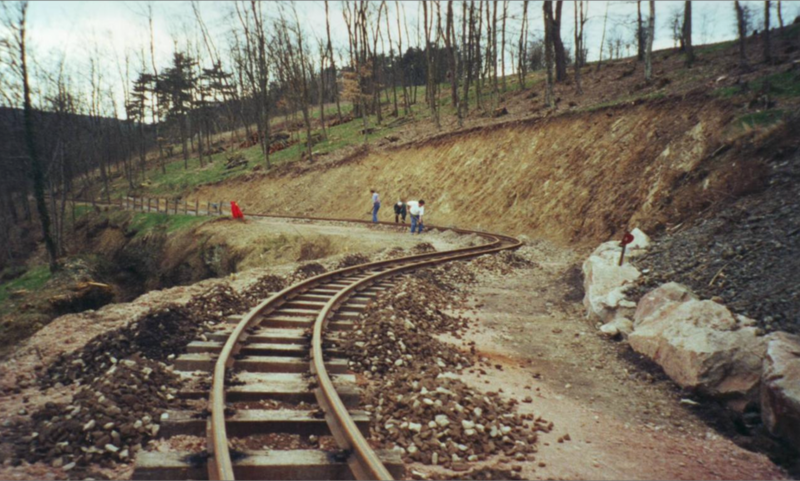 The first sections of track were laid in front of the tunnel and down to the Combe Denis. 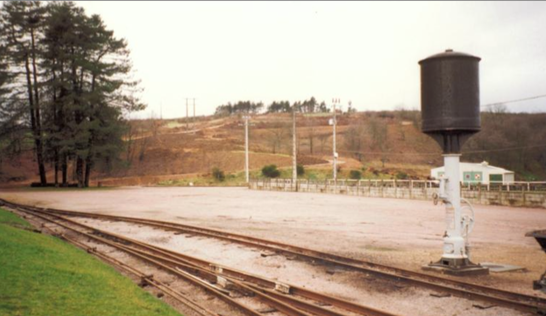 Following the implementation of the present station of the railroad of the Combes (SWC), located in the Park of the Combes, then the installation of a new stretch linking the tunnel to this station, who was at the time a terminus. 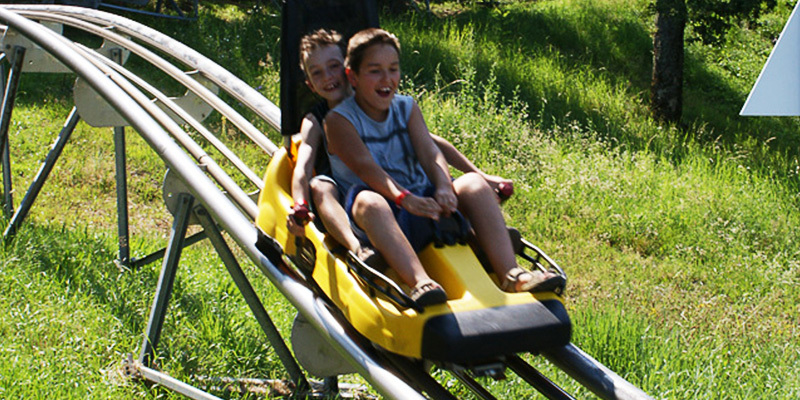 With its 435 meters of descent, was an immediate success of the summer toboggan run. Visitors can now Board the train from the station of the way of iron of Combes of Creusot, close to train station, along a path of 10 kilometres. Seven years after the creation of the summer toboggan run, the Deval'Train between the Park Service and meets an immediate infatuation. An accessible attraction at 1 m with snaking at full speed the 207 meter turns. 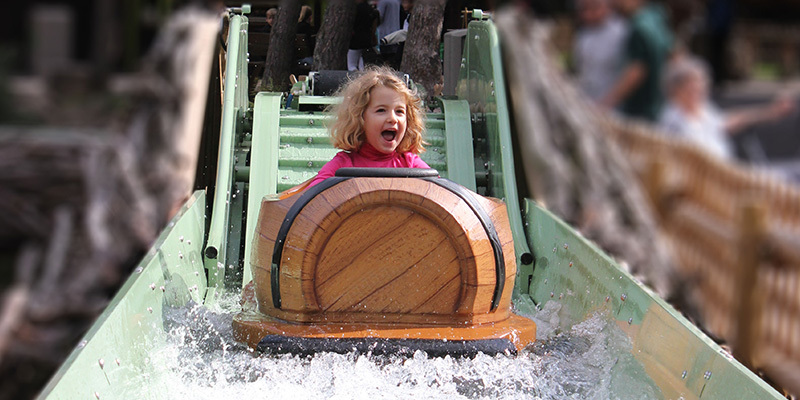 Installed above the summer toboggan run, It helps to have a panoramic view of the Park and the surrounding area to nearly six meters in height. 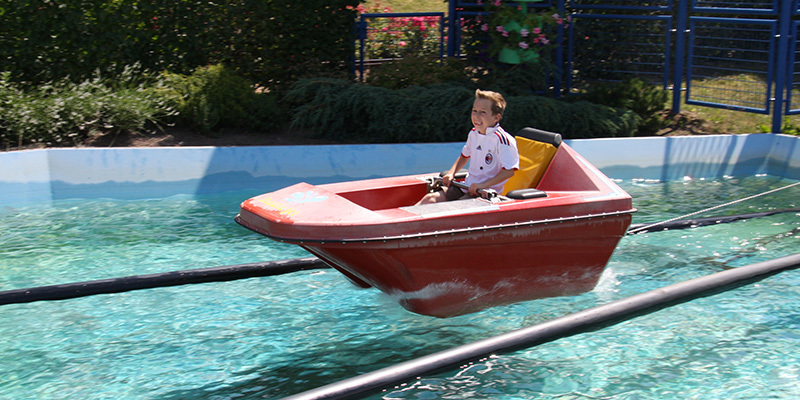 Combes Park completes its offer with the first water attraction, accessible from 7 years. Hoisted on a ramp of 7 meters, young and old will have sensations guaranteed to the descent! 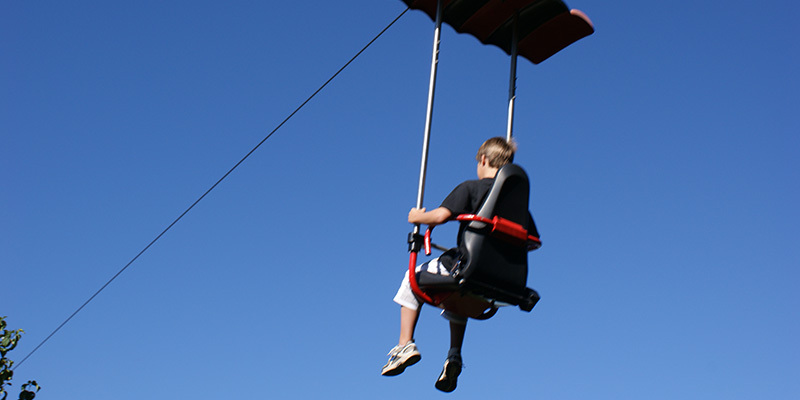 Accessible from 7 years, Zipline allows a 360 degree view of Combes Park, but also to see a part of the town of le Creusot, below. An exceptional to 10 meters high and on more of 50 meters long! The work lasted 6 weeks and helped set up one of the attractions today most of the Park. With spirals of more than 8 meters high, the descent is entirely secure and controlled by the pilot. A way to have fun on 435 meters of descent at his own pace! 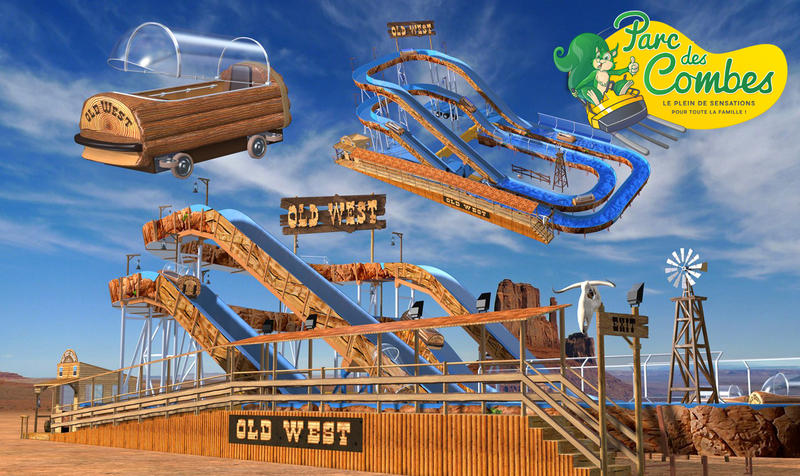 For this seventh attraction, the honor was to the Wild West! 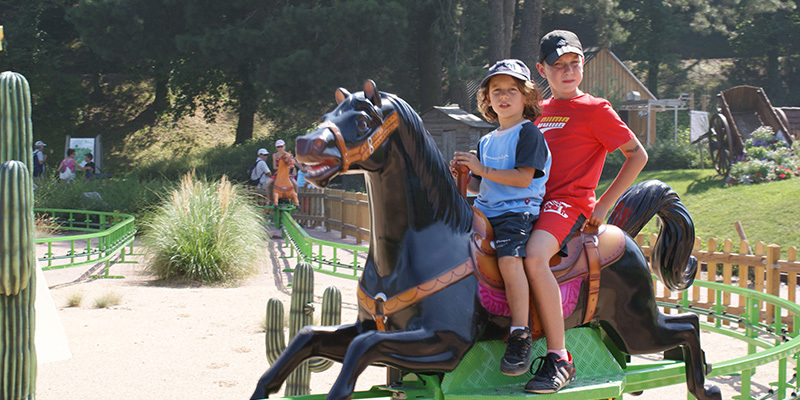 Children and adults can enjoy the ride on several hundred meters on horseback, available with 1 m.
This authentic carousel was installed after many requests. With its 38 seats and its 15 topics, children will be able to board an airplane lift, horses, a carriage, a girage or even a fire engine! The carousel is made entirely by hand, made in France! 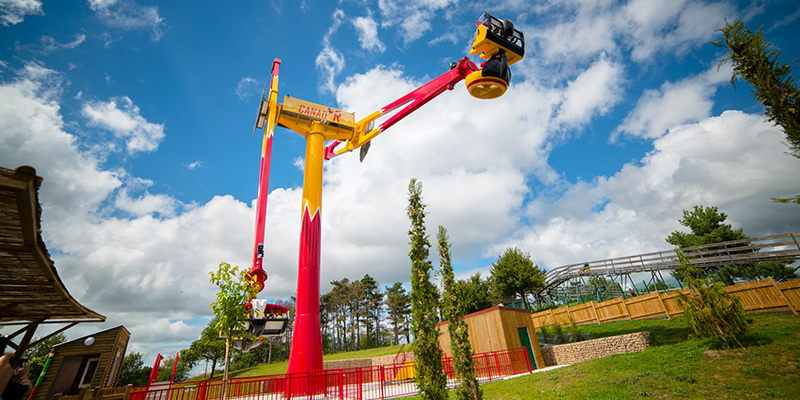 With its 19 metres in height, the boomerang brings its share of thrills! 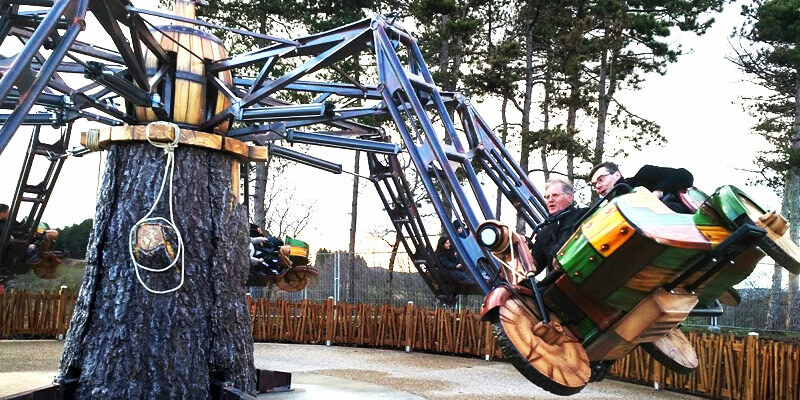 A compromise between the Deval'Train and the Alpine Coaster, the Boomerang borrows identified and spiral turns to more of 60 km/h and then becomes the fastest attraction of the Park! Tenth attraction of the Park, the balloons were installed in front of the station entrance. The eight pods allow boarding 32 people seated and ride smoothly until 12 meters high. Installed near the Boomerang, This large attraction gives sensations and pleasure with 14 places, a rise in 15 meters high and especially of shells can be controlled directly by the occupant. This is the first attraction “upside down” the Park! Derivative of a well-known attraction, the river of barrels allows to devaker waterfalls installed in a tree trunk. 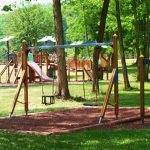 From 75cm to 1,40 m, It is the aquatic attraction, perfect for children, made in France. 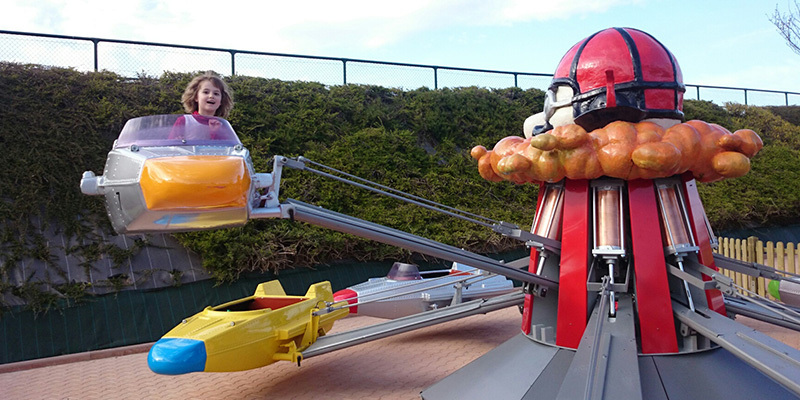 The second new feature of 2015, the aircraft is also a gentle attraction, where children are their own pilots in a plane and can manage their rise and their descent during the rotation of the merry-go-round. 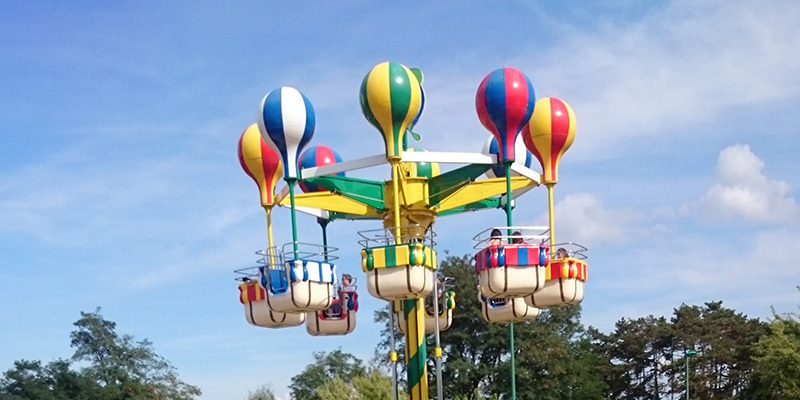 Third and last novelty of 2015, the flying chairs little ones are located at the entrance of the Park to the airplanes and hot air balloons, thus creating an area dedicated to children. 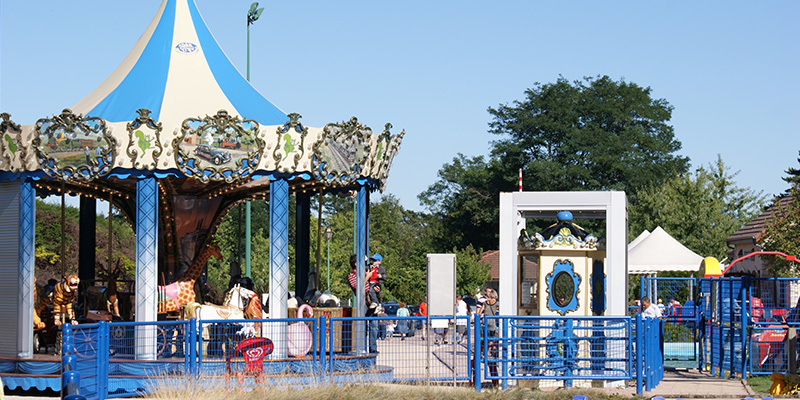 This merry-go-round offers 16 seats and the children will discover the Park 360 gently! 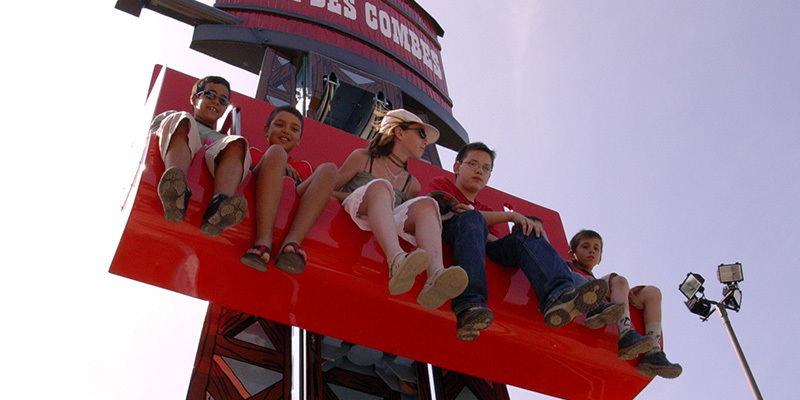 The Canad'R becomes the highest attraction of the park with its 38 meters high. 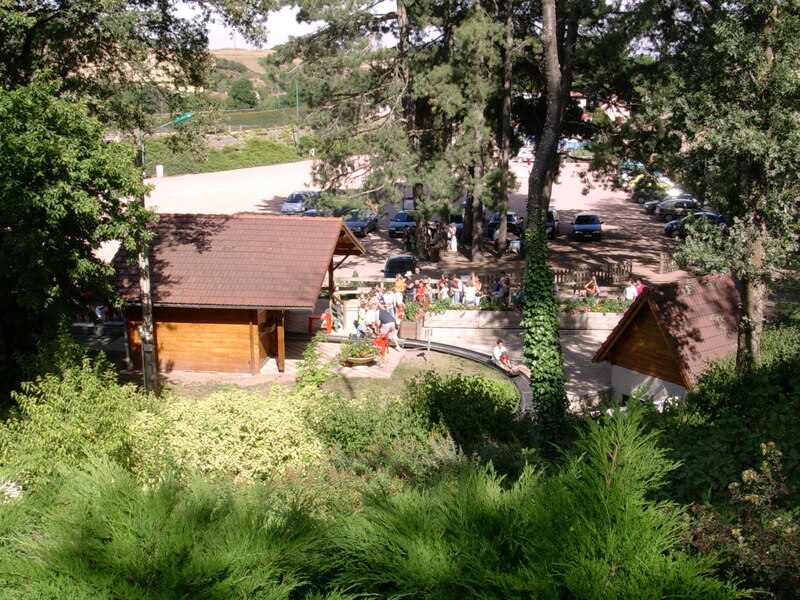 The thrills are guaranteed for 8 passengers who will discover the Creusot and the Mesvrin Valley at 360 °. They will then be able to rotate freely in their pod, 5G force and more than 100 km/h!  Special effects are also in place and proposed by the company Universal Effect. 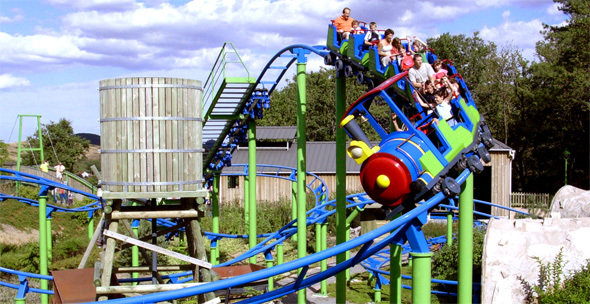 The Woodside 66 , attraction type side because offers a family novelty at the top of the Park. Interactive she pleases everyone. 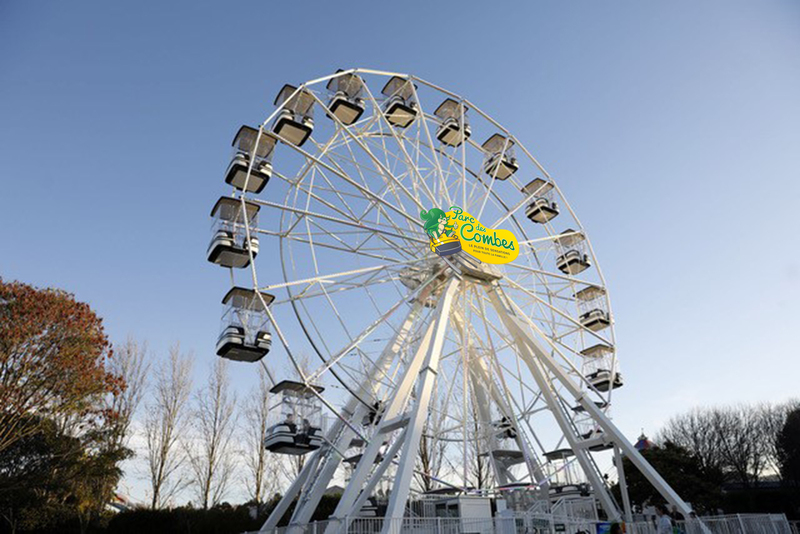 First novelty of 2019, a wheel 25 meters at the highest point of the Park, It offers views of the city, on the Morvan and even Mont Blanc! 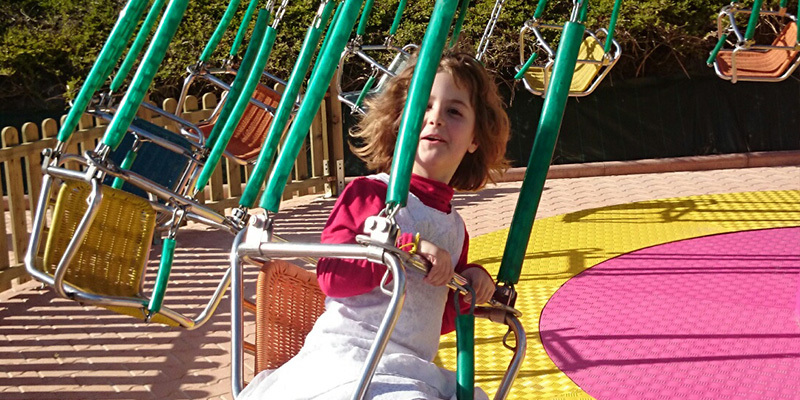 The second new feature 2019, This Canadian River brings water to the top of the mountain of Combes, she completes the offer and with a snack and the large wheel creates a new nice area.